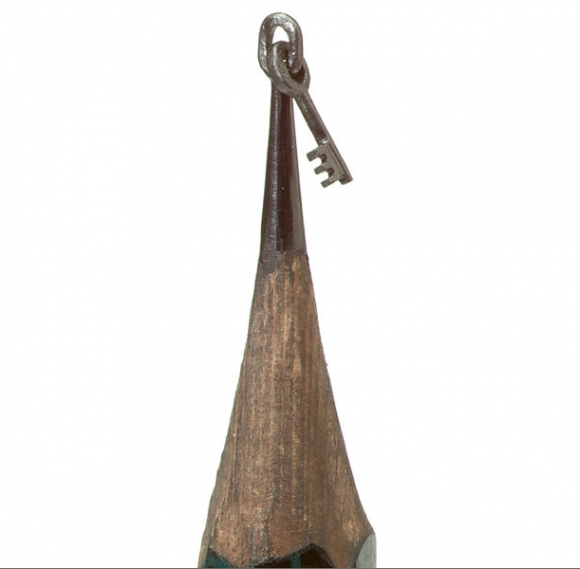 Dalton Ghetti creates miniature masterpieces on the tips of pencils. 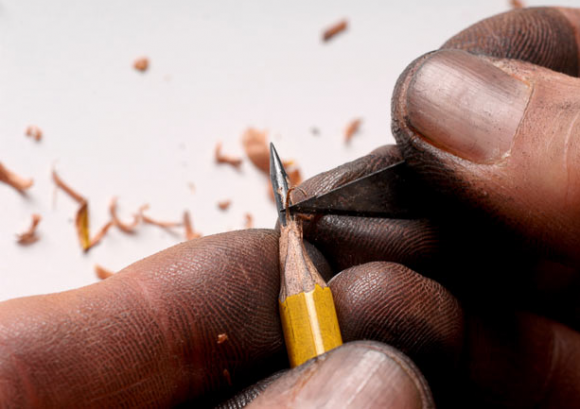 Dalton, who works as a carpenter, has been making his tiny graphite works for about 25 years. 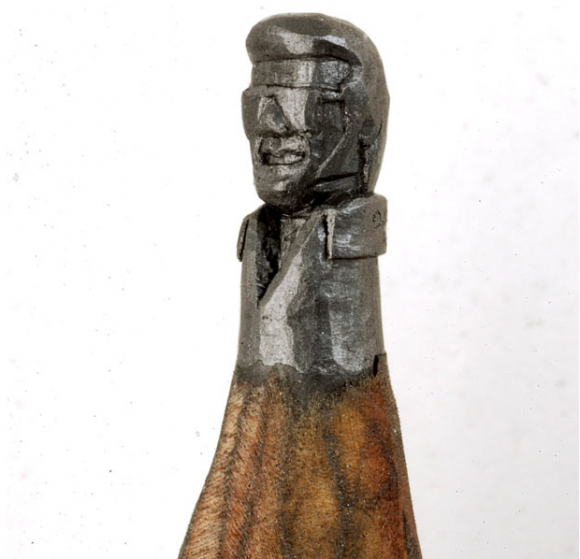 A sculpture of Elvis Presley wearing shades, carved from a single pencil. 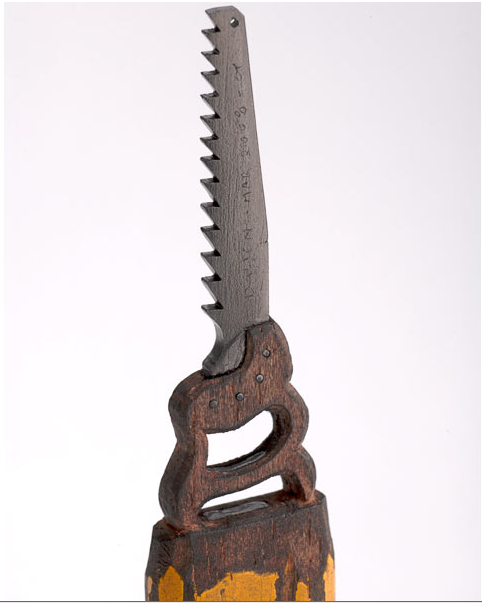 Dalton uses three basic tools to make his incredible creations – a razor blade, sewing needle and sculpting knife. He even refuses to use a magnifying glass and has never sold any of his work, only given it away to friends. 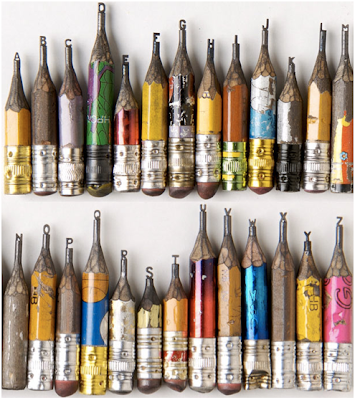 He said: “I use the sewing needle to make holes or dig into the graphite. 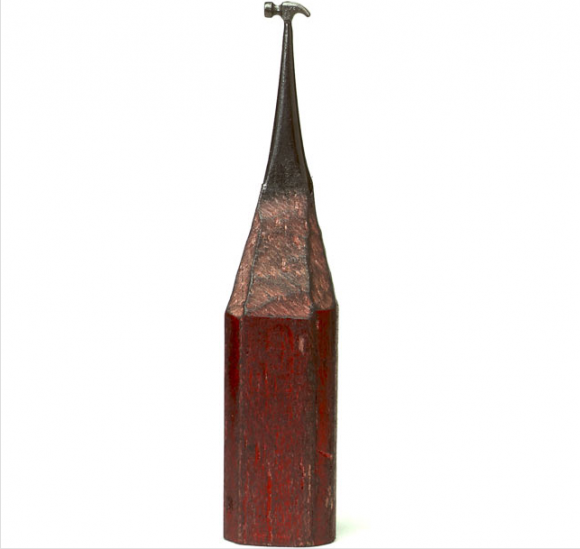 I scratch and create lines and turn the graphite around slowly in my hand”. 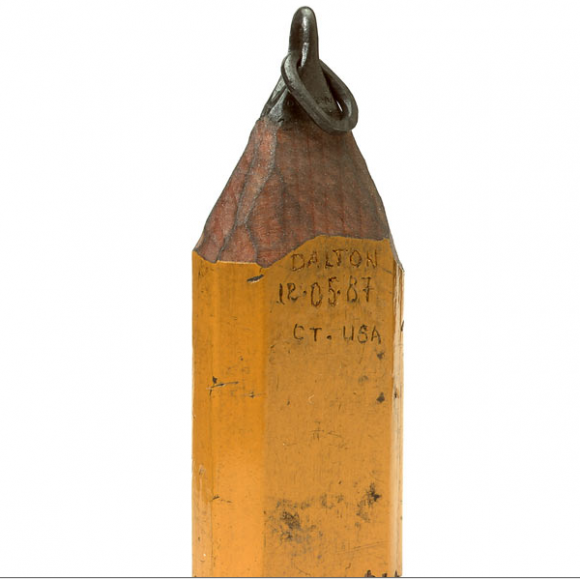 The longest Dalton has spent on one piece was two and half years on a pencil with interlinking chains. 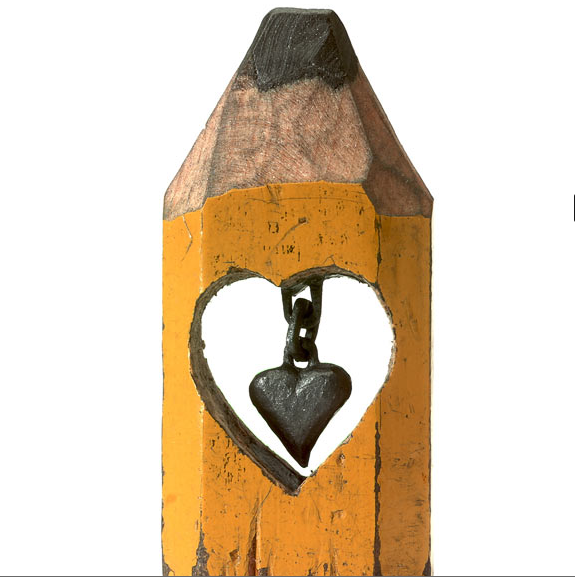 Dalton hollowed out the centre of the wood, then carved the central column of graphite to create this hanging, linked heart. 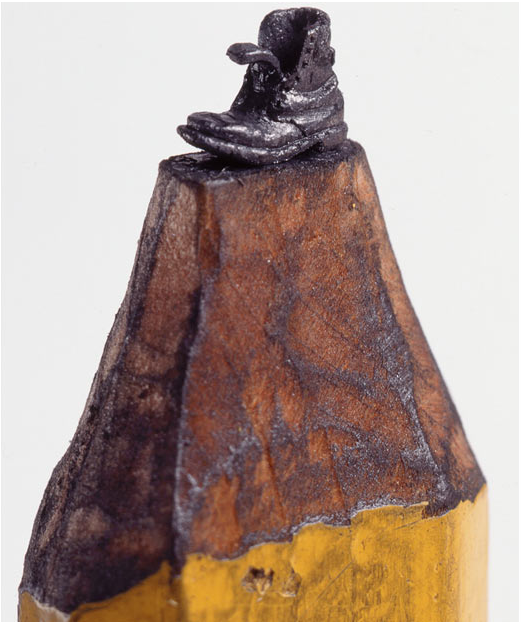 Carved from the graphite in a normal pencil: A tiny hammer. 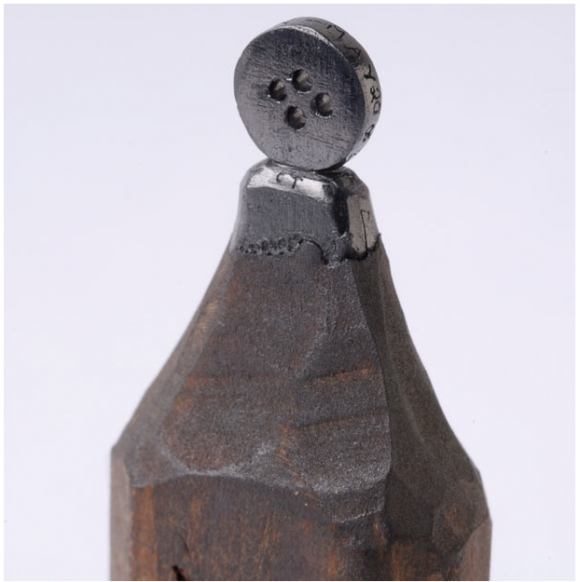 Carved from the graphite in a normal pencil: A tiny button. 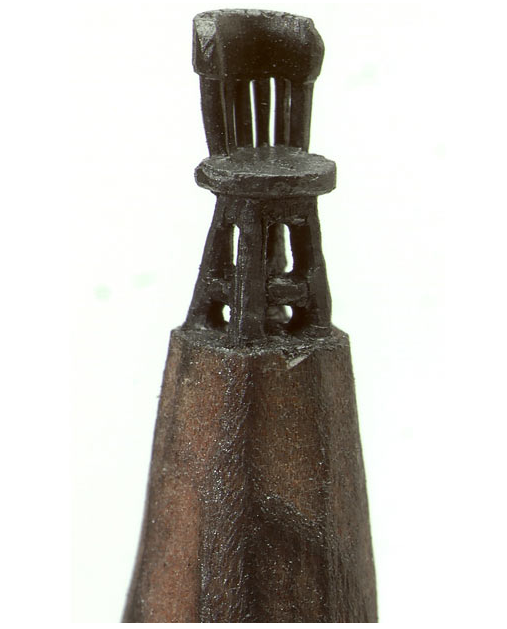 This carving shows a goblet being held by a hand, all carved from one pencil’s graphite. 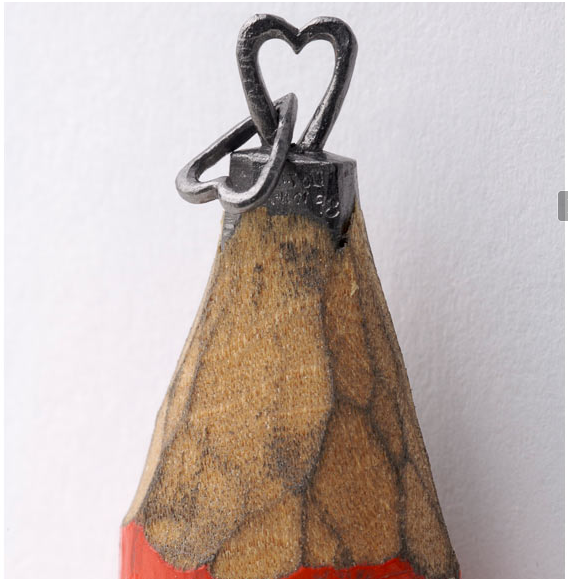 Carved from the graphite in a normal pencil: A highly-detailed boot. 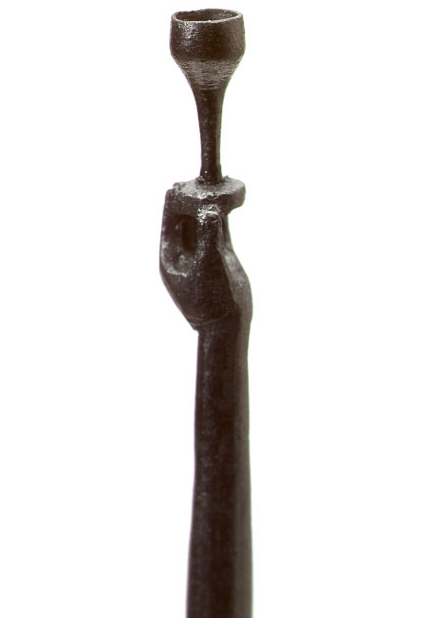 Using the eraser end of a pencil, Dalton created a tiny cross sculpture from the internal graphite. 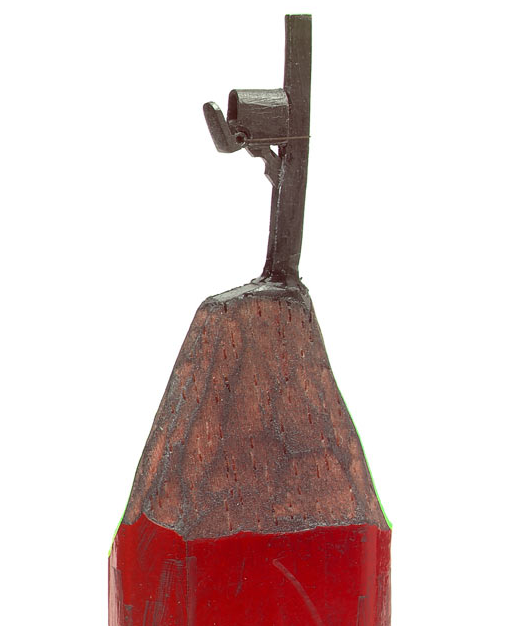 A mini mailbox on a post. 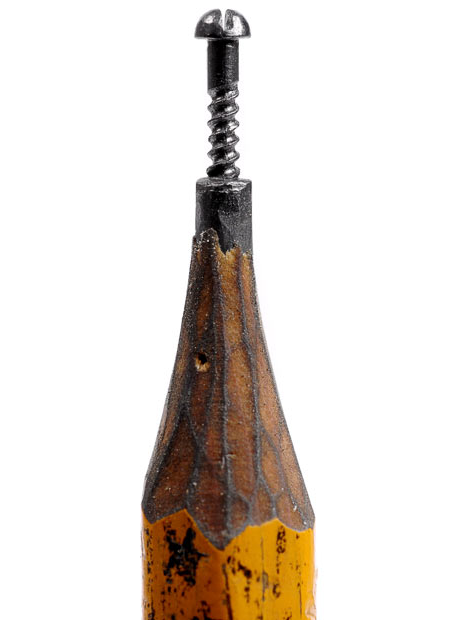 An intricately-detailed screw, carved in one piece from a pencil’s graphite. No other words for it except AMAZING!